The Hague often conjures up memories of murky high school civics lessons about international politics and possibly fond remembrances of the awesome Dutch band Golden Earring. But there is a lot more to this beautiful city in the Netherlands: it is still a major player in international affairs and it has a rich cultural history that goes back nearly 800 years. Also, it is home to a red-hot blues quintet, the John Frick Band! The John Frick Band is relatively new on the scene, having formed in 2011 as an evolution of John Frick and the Blues Hombres. John Frick is originally from Cape Town, South Africa, but he has traveled all around Europe putting together his distinctive blues chops. He handles the vocals and guitar work for this project, and is joined by Michel de Man on drums, Leo Birza on keyboards and backing vocals, and Tom Moerenhout on horns. Rob Nagel provided the bass parts remotely from his home in South Africa, which is definitely a benefit of living in such a connected society. 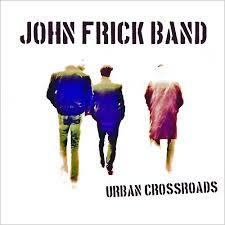 Urban Crossroads is the John Frick Band’s sophomore effort, and it is a solid piece of work consisting of 12 tracks, all of them written by John. Frick and Peter Strujik produced this release, and Strujik did a wonderful job of mixing and mastering this material so that everything is clear and nothing is lost in the mix. When the first track starts there is no doubt where this album is going, as “Blinded” is a mid-tempo straight-up blues tune. There is everything you would expect: a 12-bar blues pattern, Hammond organ, thumping bass, tight lead guitar fills and a story of broken love and deception. Rob Nagel also brings his harp to this track, and his parts are tasteful and well integrated. In fact, there is little in the music to suggest that these guys are not from Chicago or Memphis. Frick’s smooth voice has an almost Midwest accent, and the lyrics do not have the awkward phrases or misplaced words that are fairly common with discs from overseas. This crew has figured out the blues and can serve it up just as well as anyone from either side of the Atlantic. The John Frick Band switches things up throughout while staying under the blues and rock umbrella. “Get a Load” is a country-rocker that makes good use of Moerenhout’s saxes and Birza’s backing vocals, while “Say What You Want” throws out some high-paced jump blues. 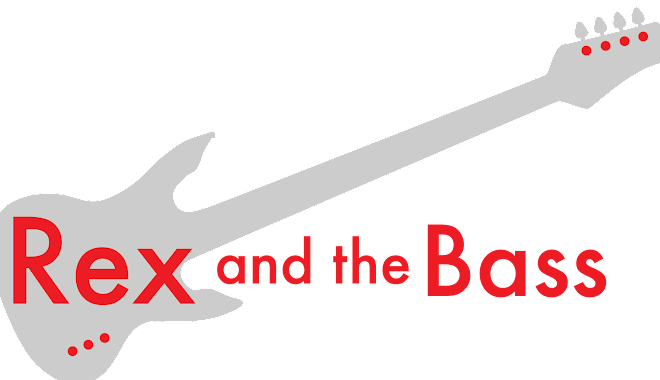 “On the Radio” strays dangerously close to smooth jazz with its electric piano and subdued drums, but then the pace kicks back up again on the next track with the funky blues rock of “Recession Blues,” which tells the familiar story of how hard it is to make ends meet these days. There is a little something for everyone on this disc! “Same Way Too” is the standout track from the album. This slow-paced blues song builds dramatically, almost like an early Led Zeppelin ballad. It is quite beautiful, with heavy organ parts from Birza and restrained guitar work from Frick combining to set the mood. Morenhout’s saxophones (and the more hopeful lyrics) put together a pretty love story that diverges from the classic Plant/Page writing template. “Gotta be Worth It” closes out the set, and it is a neat uptempo piece with Jerry Lee Lewis-like piano accompanied with biting guitar riffs from Frick. Coming in at a mere 1-½ minutes, this song leaves the listener wanting more, which is a common theme with this album -- if there is one thing to want from this Urban Crossroads, it would be more music. More than half of the tracks come in under three minutes, so this is not a terribly long release (around 37 minutes). It is better that they did not fluff up the record with substandard material, but another 15 minutes would have been fantastic. As it is, it is still a good buy and it would be a good addition to any blues fan’s library. The John Frick band has headed back to the studio to cut a new album that will be released in 2015, and if they can keep this momentum going, it will certainly be worth checking out too.